These canvas(es) will be carefully shipped to you from my USA professional canvas lab in sturdy moisture-resistant packaging. You will receive signed Certificate(s) of Authenticity from me under separate cover. The images of canvases on the walls are for illustrative purposes only. They are not to scale. Please keep in mind that the effect of these canvas(es) on your wall will depend on the size of your room and your furniture. The watermark will not appear on your canvas(es). Printed colors may vary slightly from those viewed on your monitor. Your photo(s) will be high resolution canvas print(s). They have been adjusted here for web viewing. 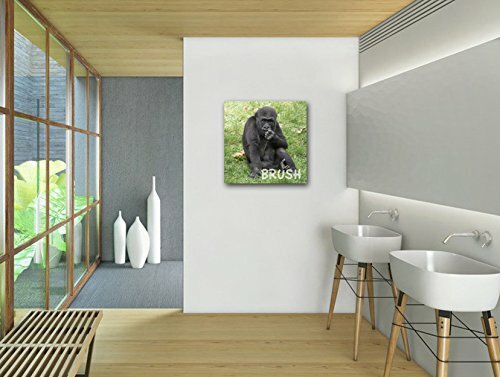 You can find these images as photographic prints and in other variations by searching Amazon for 'Nancy J's Photo Creations gorilla'.